The purpose of this in vitro study is to determine the effect of a fluoride dentifrice on promoting fluoride uptake onto powdered enamel. The test procedure is identified as Procedure 43 in the FDA Monograph. Powdered human enamel is treated with supernatant solutions of dentifrice slurries. After treatment the powdered enamel samples are washed and dried overnight. 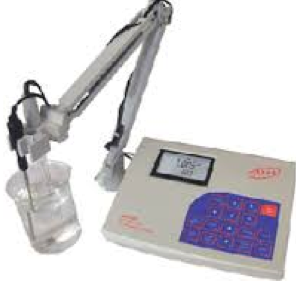 The treated enamel samples are dissolved in acid and the concentration of fluoride is measured using a fluoride ion selective electrode. 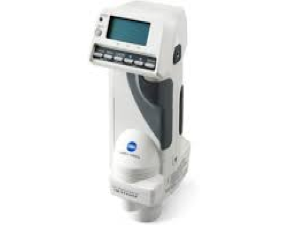 Capabilities: This ion-analyzer is connected to a fluoride ion-specific electrode and is used to determine the fluoride concentration in various solutions. The purpose of this in vitro study was to determine the effect of a fluoride dentifrice on reducing enamel solubility in acid solution. The test procedure was identical to the one identified as Procedure 36 in the FDA Monograph. Powdered human enamel is treated with supernatant solutions of dentifrice slurries. After treatment the powdered enamel samples are washed and dried overnight. The treated enamel is subjected to an acid challenge. 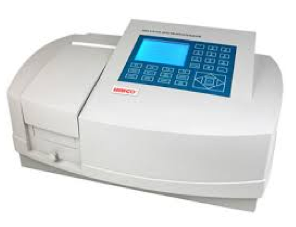 The percentage of enamel which is dissolved is accessed using a UV spectrophotometer. The purpose of this study was to evaluate the in vitro cleaning efficacy of dentifrice formulations. The methodology employed has been previously reported (J. Dent. Res. 61:1236, 1982). Those studies indicated a functional correlation to human in vivo studies. The results of this test have shown to be comparable to those obtained in clinical trials. Thus, they may be considered for the prediction of clinical findings with a reasonable degree of confidence. The PCR value is calculated relatively to a calcium pyrophosphate standard (Ca2P2O7, Odontex Inc.), which is given the empirical value of 100. Thus this methodology has become a leading guide in the development of more effective cleaning dentifrice formulations. 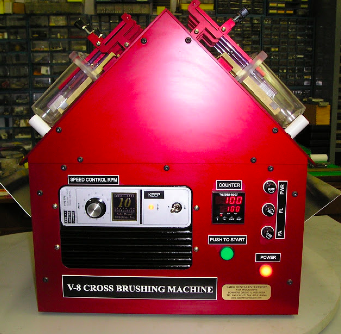 This brushing machine holds up to 8 experimental cells simultaneously and allows the study of the influence of brushing strokes, brushing force, type of toothbrush and type of dentifrice/slurry solution on the surface wear on dental substrates. This spectrophotometer provides color coordinates L*a*b*, or L*C*h. These coordinates are used to quantify the surface staining pre and post the brushing of stained enamel. These experimental models testing the cleaning ability of dental products in vitro. Copyright © Southeast Dental Research Corporation 2019. All Rights Reserved.